For 18 years I was a patient at Shriner’s Hospital for Children in Chicago. I am so thankful for the doctors there that provided me with the medical care I needed and never asked for a penny from my parents. Born with Spina Bifida I required a wide range of medical attention. I spent my first 2 years living at Riley’s Hospital and as you can imagine the medical bills piled up on my parents. 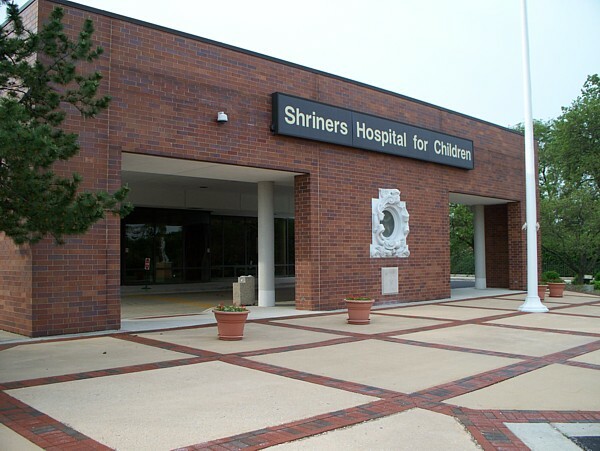 I’m not quite sure how my parents heard about Shriner’s Hospital, but they did and I became a patient there around age 2 and continued until I was 20. Shriners Hospitals for Children is a network of 22 non profit hospitals across North America. Today, treatment areas cover a wide range of pediatric orthopedics, including scoliosis, limb discrepancies, clubfoot, hip dysplasia, and juvenile idiopathic arthritis, as well as cerebral palsy, spina bifida (myelomeningocele), and other neurological conditions that affect ambulation and movement. While the overwhelming emphasis of the hospitals is to provide medical care to children regardless of the family's ability to pay, the mission of the hospitals also includes research on the conditions treated and the education of medical professionals. I will never forget all the wonderful things that the staff at Shriner’s did for me and my family; and I will continue to support them in any way I can. To learn how you can donate to Shriner’s Hospital for Children you can visit their How You Can Help page.